Before you see them on the court at Amway Center later on, Charlie Chien aka Money has enlisted the help of a few friends to model both shoes for you. Tonight, Dwight Howard and Derrick Rose will take the court as starters for the Eastern Conference in the NBA All-Star Game wearing Orange County flavored colorways of their newest adidas signature shoes. For Howard, that's the shattered glass textured adiPower Howard, while Rose will lace up the GeoFit-padded adiZero Rose 2.5. 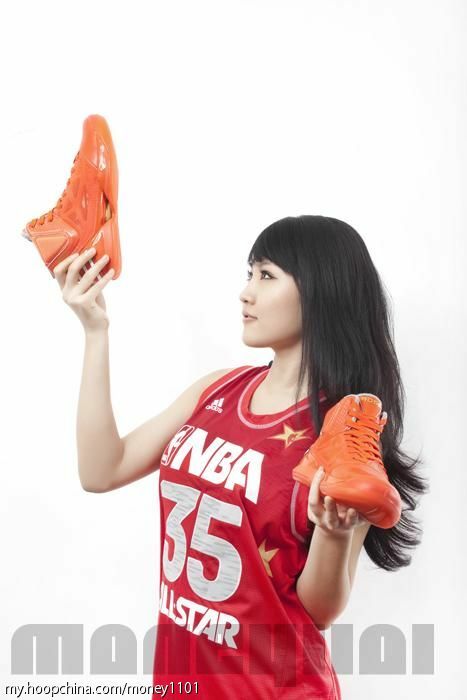 Before you see them on the court at Amway Center later on, Charlie Chien aka Money has enlisted the help of a few friends to model both shoes for you. Check out the flicks below and head over to shopadidas to pick up your All-Star Howard and Rose shoes.